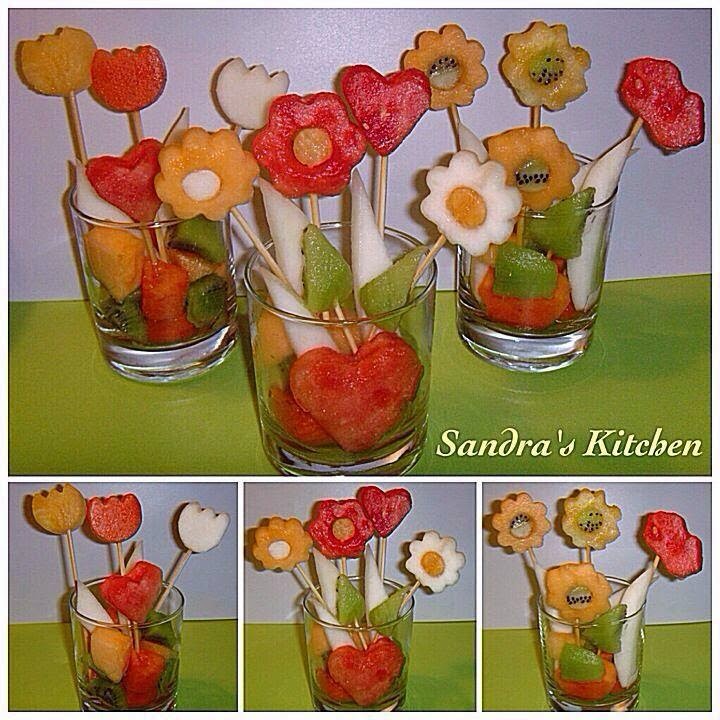 Let’s Celebrate Mother’s Day Special with DIY Fruits Ideas. Thanks to my girls age 8 and age 6. They made some simple fruits flower decorated desserts to express their LOVE for mummy. Use different flower and small round cutter to cut out shapes to cut out the center piece from slices of Red watermelon, yellow watermelon, papaya, honey dew and rock melon. Use Heart shape and kiss cutter to cut out the shapes from slices of red water melon. Cut the remaining from kiwi, papaya, rock melon, yellow watermelon into cubes. Use different length of the skewers to have a variation of height for making your flower arrangement. Place some of the cut-out fruits in the glass and arrange different flowers, heart shape, kiss and leaves on your fruits bouquet. Enjoy!